Ferran and Albert Adrià, the two brothers of el Bulli fame, are set to open their first restaurant outside Spain in the Italian city of Turin according to Italian newspaper La Repubblica and specialised media like Gambero Rosso and Dissapore. 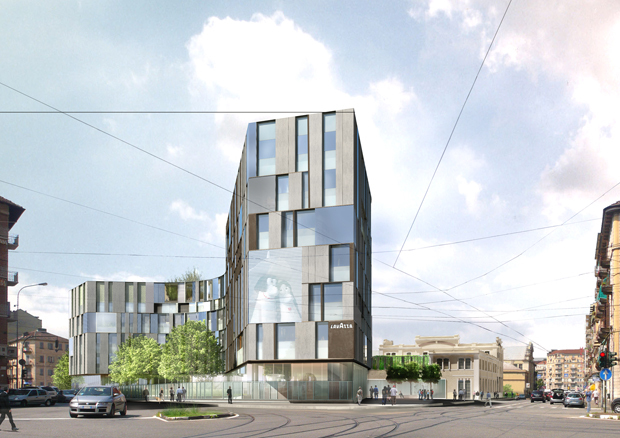 According to the Italian media, the headquarters of Italian coffee giant Lavazza in Turin (above) will house the new restaurant. The Italian company is building new headquarters that have been designed by Cino Zucchi. The new project will house all the offices of the multinational company which at the moment are spread in different parts of the city. The headquarters are being built in the east end of the city in a quarter known as Aurora at an investment of 36 million euros. According to the Italian press, the restaurant will open in the early months of 2017 in a former power station that used to be owed by Enel and not in the new building. The old power station needs to be restored externally given its architectural value. It is being reported that the ground floor will house the Lavazza staff canteen while the first floor will welcome the gourmet restaurant that is managed by Ferran Adrià and his brother Albert. The restaurant is expected to be similar to Albert’s highly successful concept restaurant in Barcelona, Tickets. The restaurant Tickets is considered to be a fun and relaxed version of El Bulli which closed in 20111. Lavazza and Adrià have been collaborating for the past 10 years. This collaboration has continued despite the fact that in 2011, Ferran closed el Bulli. This new adventure is therefore expected to be the further consolidation of this joint-venture.